Today I learned: Your baby doesn’t reach the size of a Big Mac until you’re 19 weeks pregnant. Here’s something you might not know if you and your friends haven’t yet been #blessed with kids. One of the ways expecting moms can track their pregnancy is in fruit — with each week offering a new edible approximation of how big your future child is inside the womb. For instance, Parents.com has one of these guides, from poppy seed to watermelon. But as exciting as it may be to say that your fetus is currently the size of an heirloom tomato, carnivores with a one-track mind might feel a bit left out. 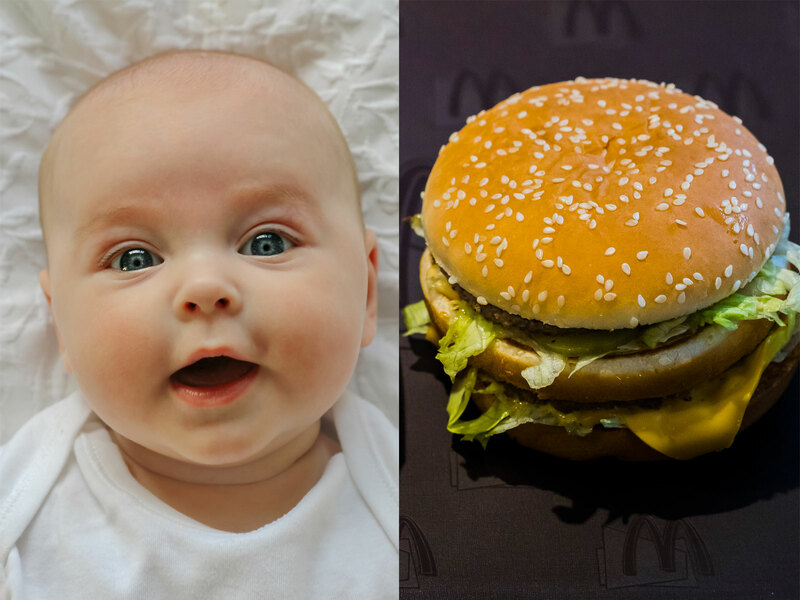 Thankfully, some genius came up with HowManyBigMacsIsMyBaby.com, the only (I assume) website that answers the question… uh… how many Big Macs is my baby? Meanwhile, the fun doesn’t have to stop once your child is born. The site allows users to put in any weight whatsoever and have it converted to Big Macs. I’m a grown man, and the site informs me that I weigh about 368 Big Macs. Granted, it provides this information in the statement that “Your Baby is 368 Big Macs!” But let’s be honest, if I’m using the site HowManyBigMacsIsMyBaby.com to determine my own weight in Big Macs, what kind of man am I really? Referring to me as a baby might be a bit unnecessary, but “childish” would certainly be accurate.